Right off the bat: I’m a Nolan fanboy. Feel free to take everything I say with a grain of salt. Additionally, while there aren’t any full-on spoilers below if you’re trying to steer clear of any information about the movie prior to seeing it, obviously don’t read on, but if you’ve seen a few trailers than this post shouldn’t ruin anything for you. There’s a scene in Interstellar where a spiffy spaceship is parked in a knee-deep ocean that stretches out for miles in every direction. Cool, calm, gorgeous waters stretch out to a lavish mountain range in the distance. Only those aren’t mountains yo. As the trailers for Interstellar have made abundantly clear, those are waves. Massive, inescapable, overwhelming waves. Watching the sequence unfold I found myself irritated that the trailers for the film had already shown me the insane imagery rather than letting me watch it unfold unaware of what was to come. But at the same time, that impossible wave is probably the image that best invokes the feel of Interstellar. Director Christopher Nolan tied Leonardo DiCaprio to a chair and dropped him backwards into a bathtub. So he’s a pretty ambitious guy. Which means calling Interstellar Nolan’s most ambitious film to date is no small matter. And yet it’s utterly undeniable. Interstellar takes place sometime in the future, on an Earth turned dustbowl by a wild, whacky plant-eating virus/disease/thing called the blight. Desperate for salvation from starvation and suffocation mankind looks to Matthew McConaughey and the stars. From there Nolan does away with the precise three-act structure that has framed much of his previous work in favor of episodic crescendos that build to almost unbearable heights before crashing down like that monolith of a wave again and again. Tension piles on top of tension while Hans Zimmer’s score pounds away with Judgment Day organs louder and louder, only offering relief when the audience has been visually, sonically and emotionally fatigued. For a majority of its nearly three hour runtime Interstellar is a collection of explosions, a series of dizzying tidal waves relentlessly hitting one after another. The film is at its best when it blends speculative physics with top notch filmmaking to mesmerize the audience with light and sound. At its height it is essentially the cool high school science teacher who lets students play with fire to illustrate scientific concepts. It provides just enough scientific background for the audience to key in to what’s going on before illustrating it with absolute grandeur. Where Interstellar will perhaps lose some viewers, however, is when these displays of grandeur leave the realm of the scientific and move into the literary and metaphorical. 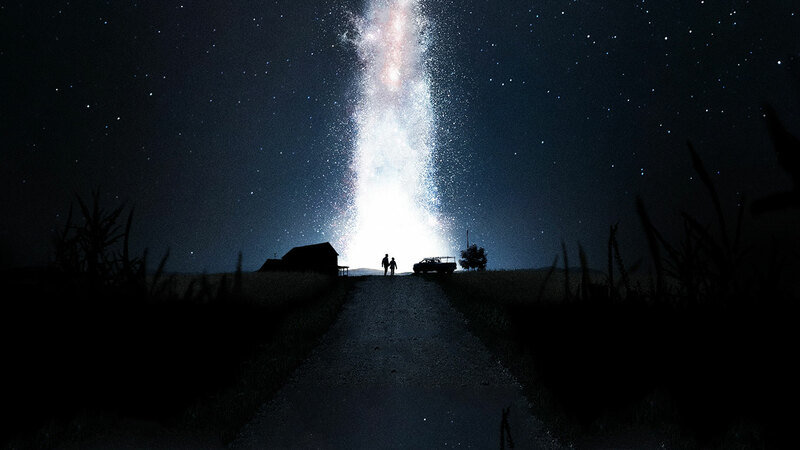 Interstellar reaches a point at which previously Christopher Nolan would have made a hard cut to black, a top spinning on the table if you will, but this time around Nolan presses onward providing something of an epilogue to the tidal onslaught. Interstellar ends up blending science with a hint of spirituality to ask big questions about human potential, human life and the human legacy. And it actually offers some satisfying answers. The film isn’t without its plot holes and it makes little attempt to tear away from the arguably elitist sentiments seen in Nolan’s recent work, but when those gargantuan waves come tumbling down Interstellar is moviemaking at its finest.